Tonight marked a significant milestone for Cathedral City Toastmasters – the two speeches we heard tonight were the final requirements needed to earn the club 10/10 in the Distinguished Club Program for the third year in a row! Well done everyone, and our special thanks go to Tim, our VP Education, who made it all possible! Being the shortest day of the year, our Toastmaster for the evening, Dave Brierley, educated us on the history of the winter solstice. Apparently our ancient ancestors had a lot of fun on the day the Sun stands still! 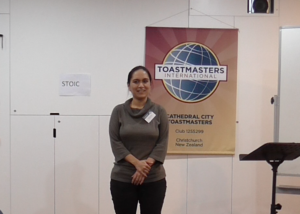 Kahu, our grammarian, followed shortly after and introduced the word of the day “stoic”. Only a few stoic speakers managed to fit the word into their speeches, but it was great when Kahu gave an accurate report on the “umms” and “ahhs” of the evening. 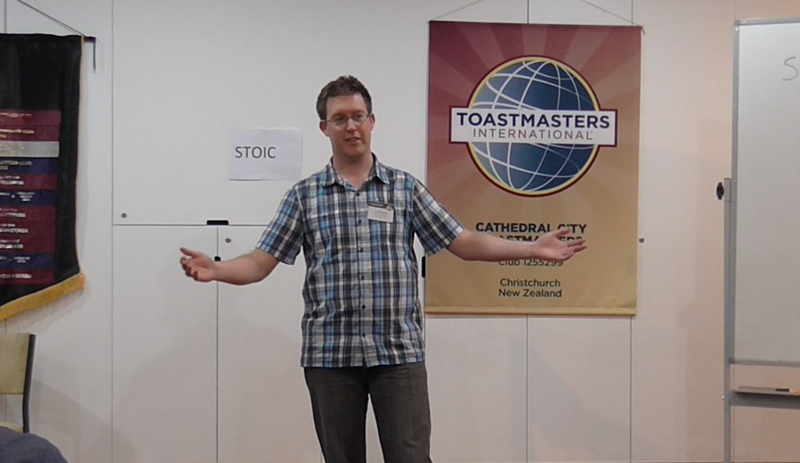 The first speaker tonight was David K who was completing speech 10 of the Competent Communicator manual. Finishing this manual is a big deal for every Toastmaster, because it shows how far they’ve come since their first Icebreaker speech. Tonight David spoke about the importance of clean electricity generation. The heart of the speech compared the physics behind modern day nuclear power (aka nuclear fission) and the futuristic (and clean) nuclear fusion. This was the very first time David had no notes to guide him. Good work! The second speaker of the evening was Gary, who has completed almost every advanced manual ever created! Tonight he was completing a project that involved the power of persuasion, and invited Kahu to sit with him on stage as they performed a role-playing scenario involving a customer (Kahu) and a cold-calling salesman (Gary). This speech was very much an impromptu speech, with Gary expertly navigating the tricky responses that Kahu threw his way. warm food is often on people’s minds. The speakers to take the floor were Sergie, who told us about the food he used to love; Pooja, who talked about food memories from her childhood; Matt, who discussed the strangest place he’s ever eaten; Steve, who entertained us with his story of eating chicken feet; our guest for the evening Ryan who told us about the worst thing he’s ever eaten; and JP, who described all of the Mexican restaurants in Christchurch. 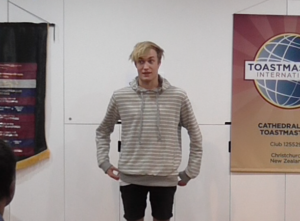 We had some great evaluations tonight, with Tim, Jennifer, Ade, and Ellie all showing us how it’s done. 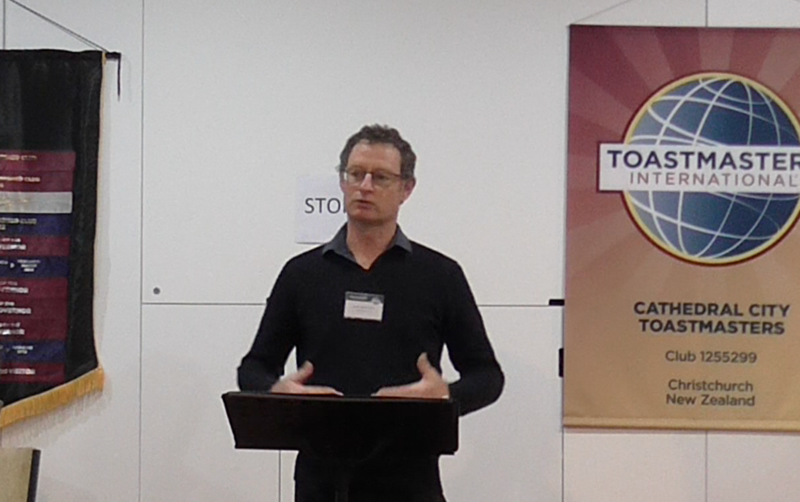 We always learn so much when these experienced Toastmasters deliver their insightful commendations and recommendations. Our timer for the evening was Jessica, who did a great job of keeping track of the times for some unusually timed speeches.